When I think about traveling in March and April, I immediately think of Spring Break and family travel. For many families in traditional school environments, school breaks are the only time the family can get away. While I generally tend to avoid travel during school breaks and the summer, there are occasions when there simply are no other choices. 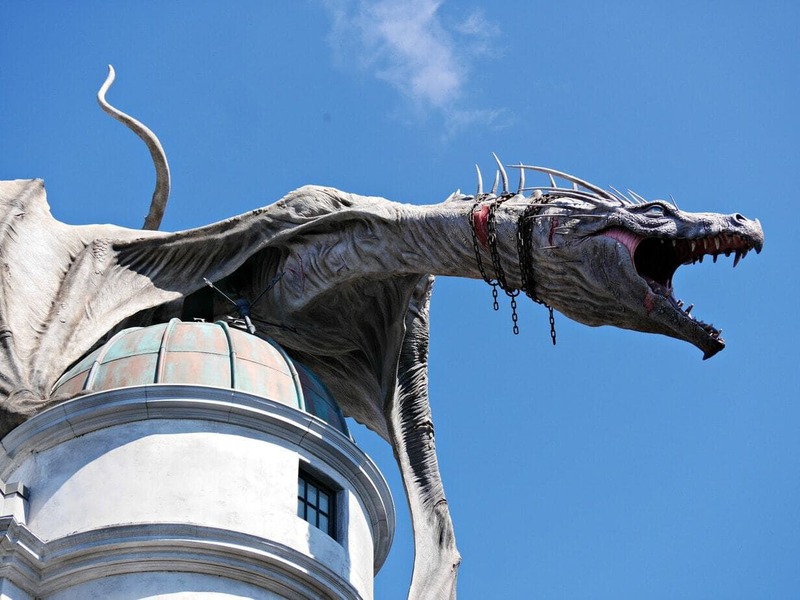 If you’re braving the crowds for your family vacation, we recommend spending time at Universal Orlando Resort. With two theme parks, one water park, CityWalk entertainment district, and on-site hotels that provide numerous park perks, once you check in you’ll never have to leave. And you’ll never want to leave either. This is another edition or our monthly themed feature talking about places we’ve stayed and never wanted to leave. This post, along with all the others in the series, may contain affiliate links, sponsored travel, or paid product placement. We’ve hand-picked these destinations and products because we like them and we think you will, too. Our April theme is Family Travel and a stay at Loews Sapphire Falls Resort at Universal Orlando Resort. 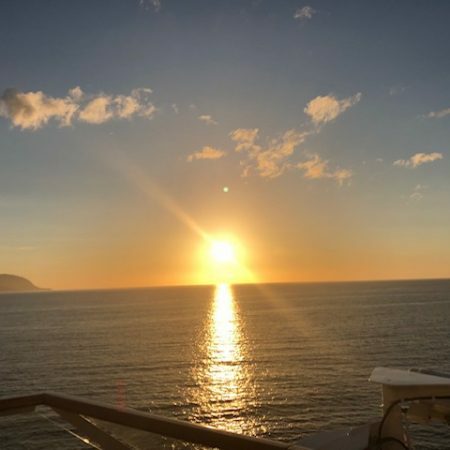 We think you’ll like it there so much that you’ll never want to leave. As a 2017 Ambassador for Universal Orlando Resort, you probably already know that I’m a big fan. One of the big mistakes that I see visitors make is not planning well about where to stay. It’s easy to think that you won’t spend much time in the room so it doesn’t matter. But it does. 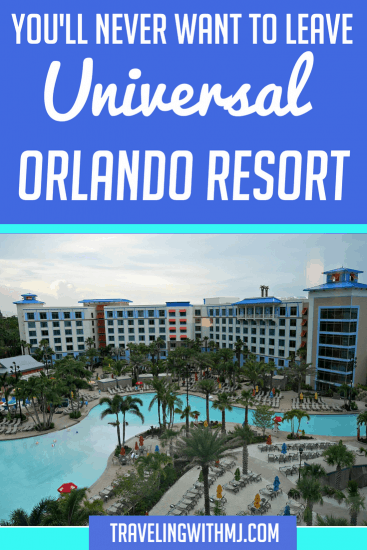 Staying at one of the Universal Resort hotels comes with a number of perks that add value to the price of the room. Staying at Sapphire Falls gets you early park admission (one hour before regular park hours), and a complimentary water taxi and bus that will take you to and from the parks. It’s also walkable if you’re up for that. Of course, the primary reason you’ll never want to leave is the integration of all three Universal theme parks and CityWalk with the hotel. It’s a deluxe, self-contained experience with lots of things to do. When we balance our budget and the extra perks, we always think staying at one of the Universal Orlando Resort properties makes sense. Sapphire Falls is a 1,000-room Caribbean-themed resort that features lush grounds with waterfalls, a 16,000 square foot pool, and a lagoon. Rooms are located in interconnected towers that stem off from the lobby. 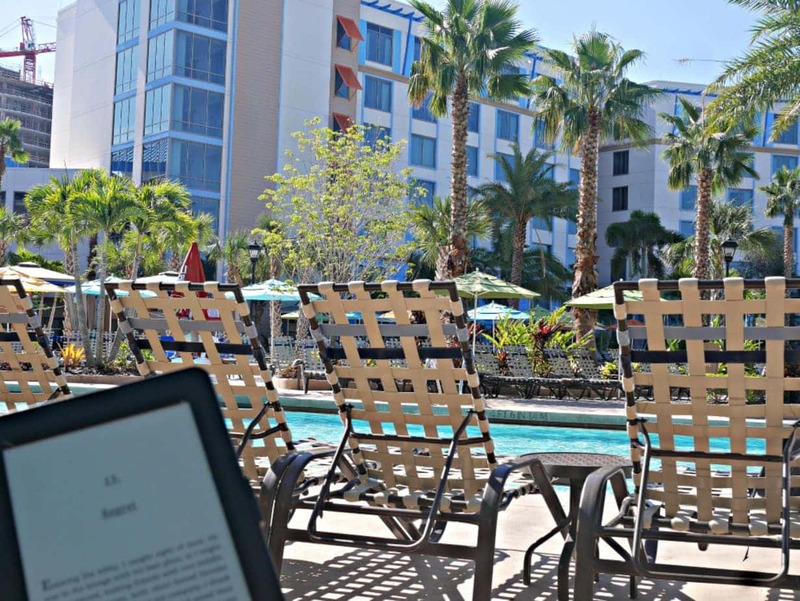 It rings it at mid-tier pricing in the list of Universal’s hotel, but don’t let that put you off – there’s plenty of value luxury in a stay at Sapphire Falls. Rooms are spacious and well laid out, and the entry-level rooms are still sized well for a couple or small family. If you’re a larger group, some rooms have a sleeper sofa, and most rooms can accommodate a roll-away bed. Sapphire Falls is pet-friendly, a bonus if you’re traveling with four-legged family members (there’s a $50 per night fee, maximum of $150 for the stay). 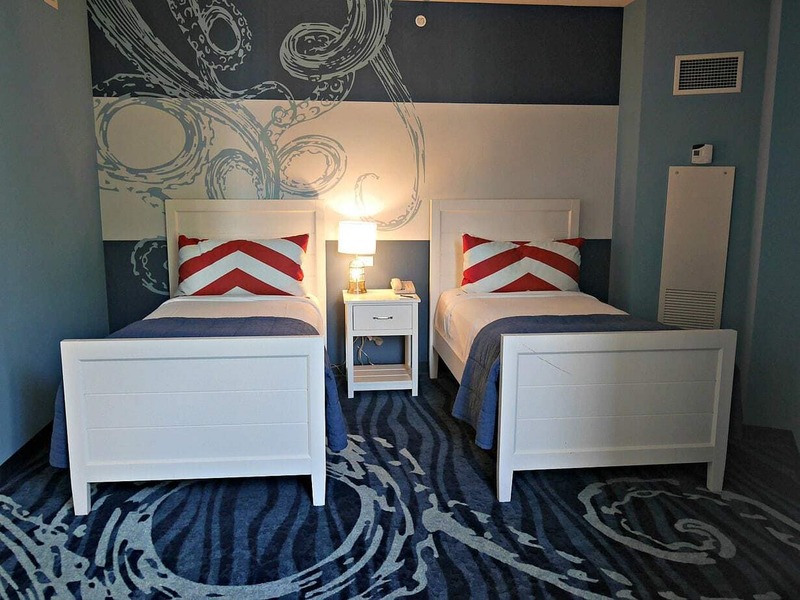 The perfect room for us is the 2-bedroom family suite with a separate bedroom specifically designed for kids. If you have younger kids, it’s easy to have them tucked into bed early and then enjoy some adult time in the next room of, if you have teens, it’s a place for them to have some privacy and adults to have some quiet time. Win-win either way. Our tip: Pick up a bottle of wine at the Dutch Trading Company (off the lobby) and have a relaxing nightcap in the evening. After a busy day running around all the parks (and we hit the ground running and keep at it hard all day), we appreciate the moments we have to unwind. In our minds, the water and beach features are a highlight of the stay. Two white sand beaches are in front of the pool, and one of our favorite things to do is get in some heavy relaxation time there. Let’s face it, Seattle is rainy and gray much of the year, so any chance we like to grab any chance we get to soak up some Vitamin K (remember, use sunscreen, reapply often, and limit your sun time). 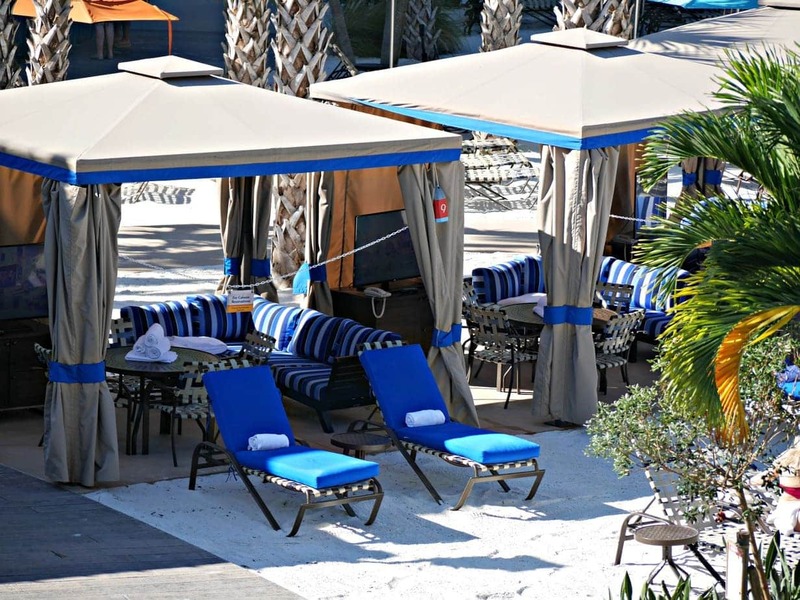 For family convenience, consider renting a cabana – you’ll have the advantage of reserved loungers, a protected area out of the sun, and enhanced food and beverage amenities. During peak season you’ll want to reserve these in advance, they’re a popular option, but during off season you can usually get one on the morning of your pool day. Poolside food and drinks are remarkably good as is the service. Something cold along with a good book by the pool, it’s a great way to bliss out. My tip is to try something tropical – that’s the theme here, after all. I’ve had a variety of the rum specialty drinks and found they fit the mood perfectly. 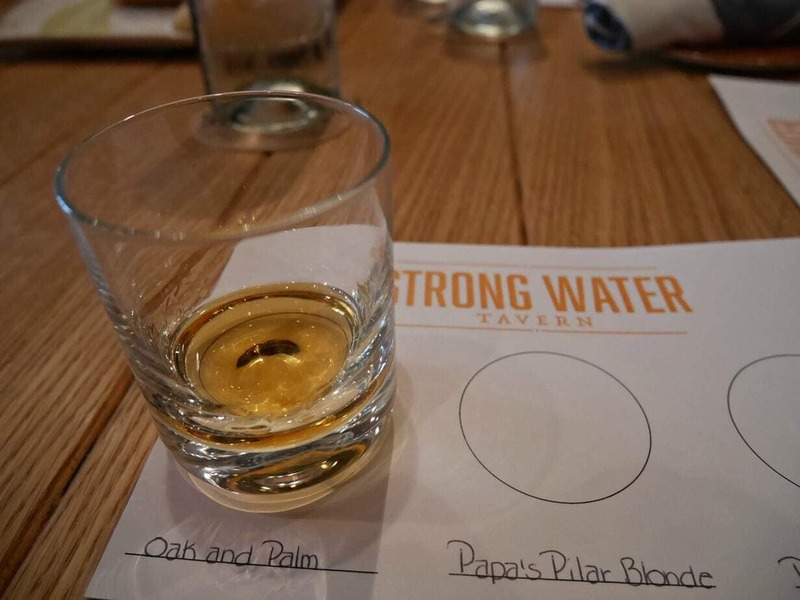 And since we’re on the subject of rum, if you’re a lover of this island liquor – or simply want to learn more – try the rum tasting flights at Strong Water Tavern, located just off the lobby. The flights are organized by geographic region and show off three different rums from one particular region. We got a little bit of a history lesson along with our rum and it made for lively conversation as we discussed which one we liked better and why. Strong Water also serves dinner and can get boisterous in the evening. 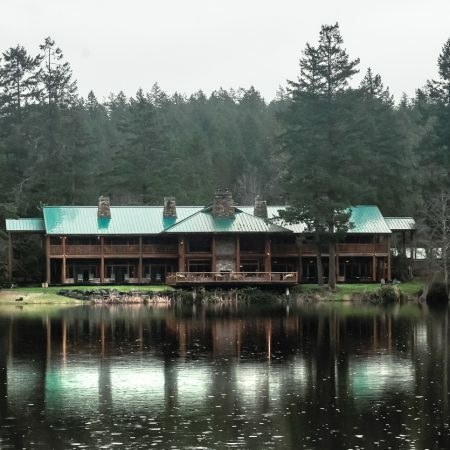 Other restaurants on the property include Amatista Restaurant which offers a breakfast buffet (included with some packages), lunch, and dinner, Dutch Trading Company which offers grab-n-go meals and snacks, and Drhum Club Kantine which offers lunch and dinner on the pool grounds. Other Universal Orlando Resort properties are within walking distance or via a shuttle or water taxi. A dining shuttle provides complimentary transportation to and from all the onsite hotel restaurants and is available every half hour between 6-10 pm. Check with the front desk for details and plan to catch a shuttle that is at least 15 minutes before your dinner reservation. 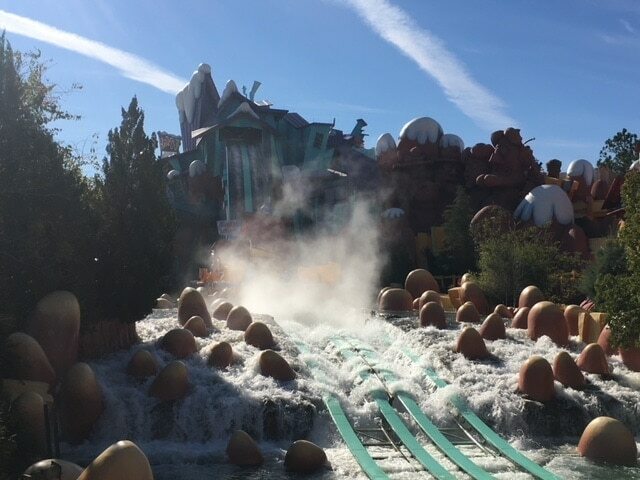 Remember, there are THREE themes parks at Universal Orlando Resort – Universal Studios Florida, Universal’s Islands of Adventure, and Volcano Bay – and a separate ticket is needed for each. Visiting the parks is seamlessly integrated into the resort experience, making it hassle-free – seriously, you’ll never want to, or have to, leave. I have included my recommendations for ticket selections in the If You Go section below. It can be complicated at first blush but spend some time thinking about what you want your Universal Orlando experience to be, review my recommendations, and make the best choice. 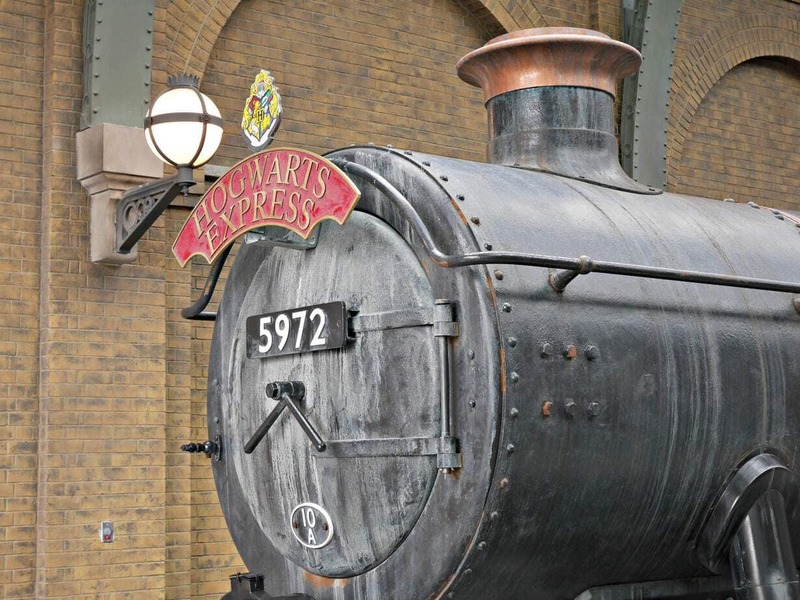 Also note that the Hogwarts Express, the Harry Potter train that leaves from Platform 9 3/4, connects two of the parks and requires a ticket to both parks to ride. You’ll find specific reviews and tips about visiting Volcano Bay here, and the other two theme parks here. Don’t forget CityWalk. 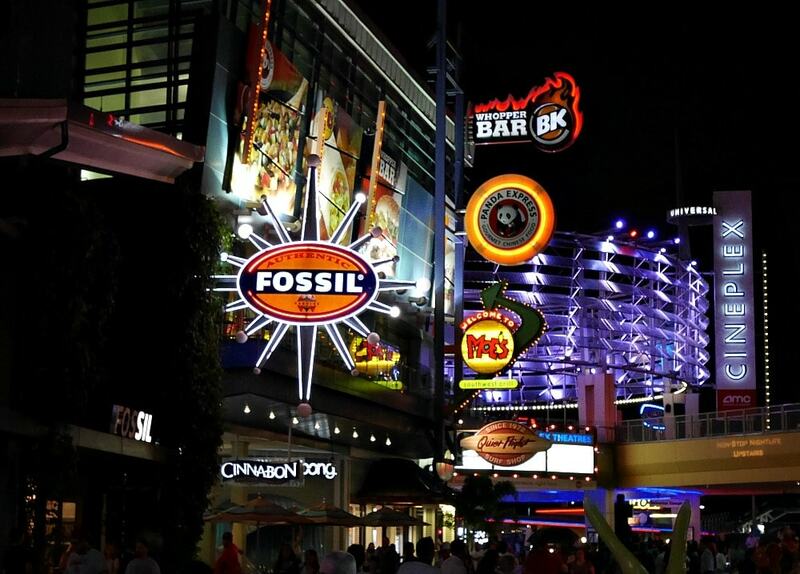 It’s like spending time at another theme park, only this one is focused on food, entertainment, and shopping venues. I’ve got some favorite dinner spots at CityWalk. My all-time favorite is Antojitos and I try to make at least one stop there during every visit. It’s set back a little from the main walking area, but look for the pink building and find your way there. A couple favorites: the table side guacamole made to order and a blood orange margarita. On my last visit there it was closed for a private event and I swear that I went through withdrawals. Another favorite is Toothsome Chocolate Emporium & Savory Feast Kitchen. That’s a mouthful, and most of us just shorten it to Toothsome. You can’t miss it – it’s the steampunk building and smokestack. If you’re going for lunch or dinner, make a reservation as the line is ridiculously long for walk-ins. 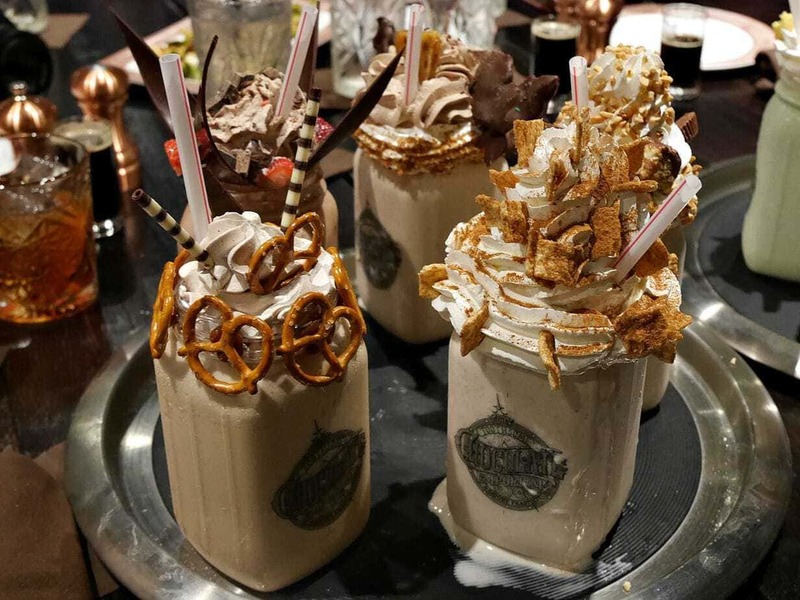 The menu is extensive, and while I’ve been there for lunch and dinner, my recommendation is to skip the meals and go for the milkshakes. You can order them through a cafe counter to the left of the entrance and they’re big enough and full of all sorts of goodies, that they almost qualify as a meal. On one visit we simply considered them brunch. To the right of the entrance is a gift and confectionary shop. You’ll find the usual souvenir items, but I’ve always paid more attention to the chocolate counter and the macarons. Both make a lovely gift, but ours rarely make it home with us. Location: Loews Sapphire Falls Resorts at Universal Orlando is located at 6601 Adventure Way, Orlando, Florida. 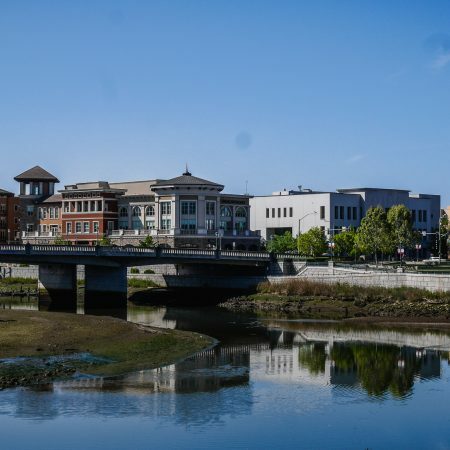 In the neighborhood: This is one giant neighborhood! Three theme parks, CityWalk entertainment complex, five hotel resorts (with more on the way), and countless acres of fun. 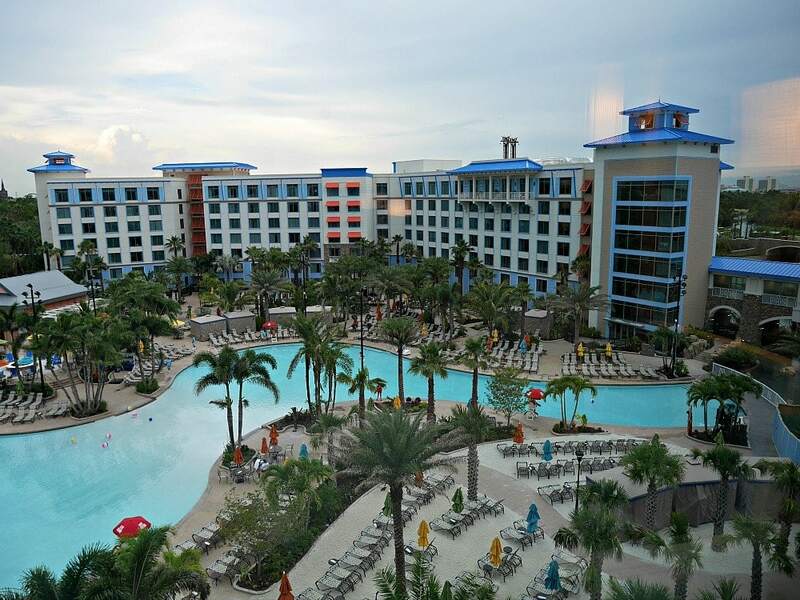 Accommodations: Our favorite places to stay are Sapphire Falls Resort and the Hard Rock Hotel. There are three other hotels/resorts to choose from – Portofino Bay (Italian themed), Royal Pacific (Polynesian themed), and Cabana Bay (retro themed). Aventura is scheduled to open in late summer 2018 and is currently taking reservations, with two additional properties scheduled to open in 2019-20. Rates: Rates at Sapphire Falls start as low as $200 per night, with some value packages throughout the shoulder seasons. Expect dramatic prices increases during the summer and all school holidays. Getting there: We flew Alaska Airlines roundtrip from Seattle (SEA) to Orlando (MCO). For ground transportation, we’ve opted for either a car service or an Uber/Lyft. Since we stay completely at the parks – we never want to leave – a rental car isn’t necessary. 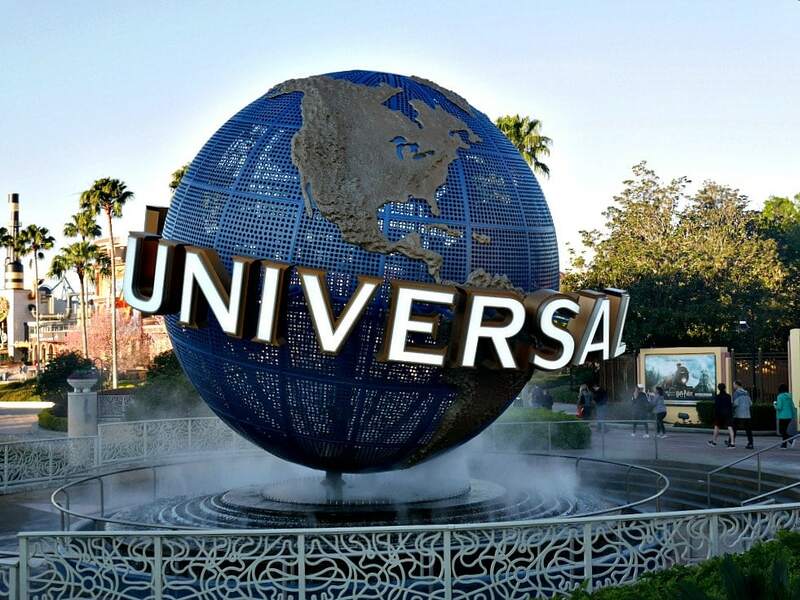 Theme Park Tickets: There are all sorts of bundled admission options for Universal Orlando, from the one park, one day pass to multiple parks, multiple days pass to hotel and admission packages. What’s works for one visitor may not work for the next, so while I’ll share my recommendations, you’ll need to calculate which works best for you. My recommendation is a hotel and multi-day park-to-park package and a separate day pass for the day(s) you want to go to Volcano Bay. 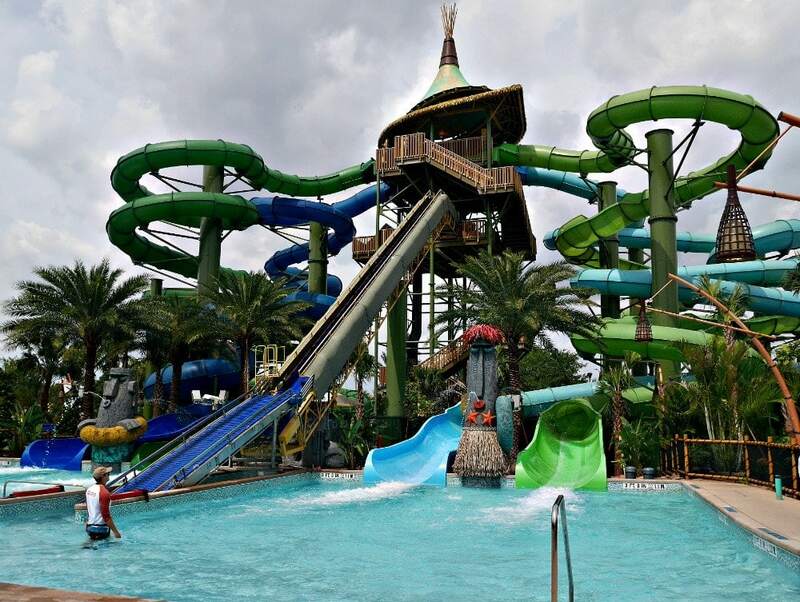 While we frequently went back and forth between the two parks, we didn’t leave Volcano Bay – once we’re wet from the various attractions here, we didn’t want to go anywhere but back to the hotel to clean up. 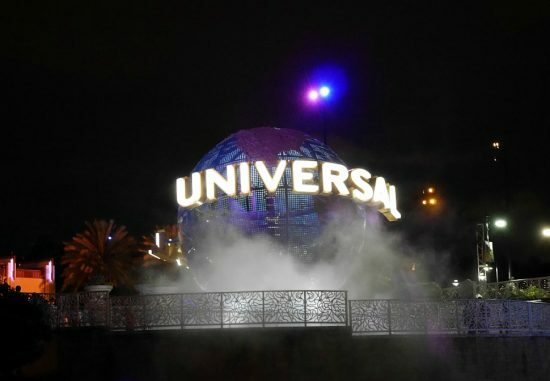 You can find more information about Universal Orlando Resort’s hotel and admission packages here. 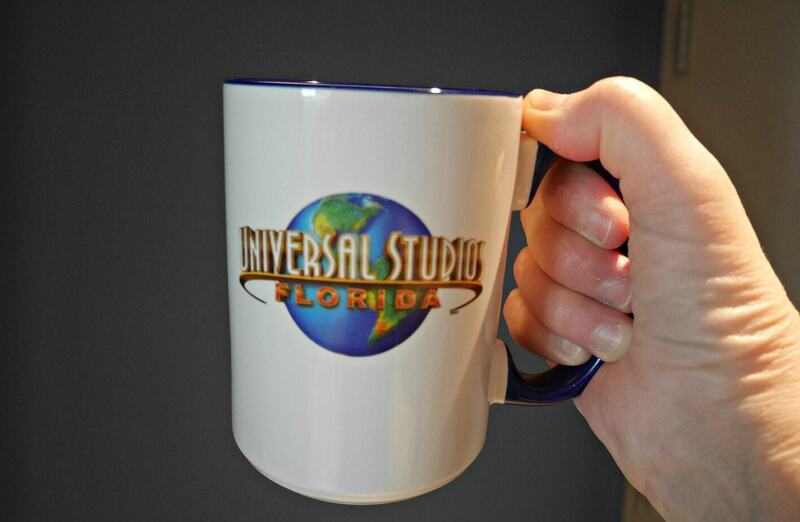 We’ve been to a few of Universal Orlando’s special events and have had a great time at all of them. Some are included as part of your regular admission ticket, others require a special ticket. Mardi Gras – This family-friendly celebration leading up to Lent features New Orleans inspired decorations and food. We even got to ride on a parade float and toss beads to the crowd. You won’t have to worry about bare breasts and drunks and will still have a great time. Tony and the teen were skeptical about riding the float, but after the parade, everyone agreed that it was the highlight of the trip. 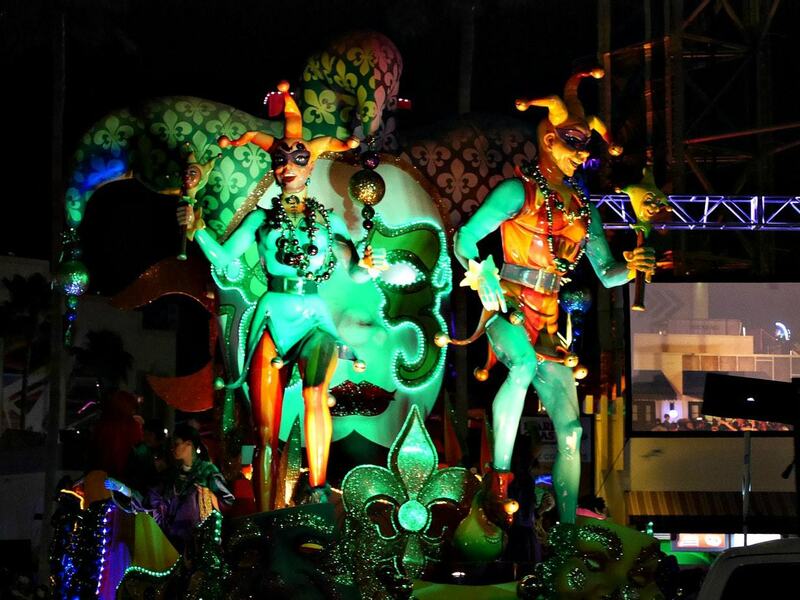 Enjoy Mardi Gras as part of your regular admission. 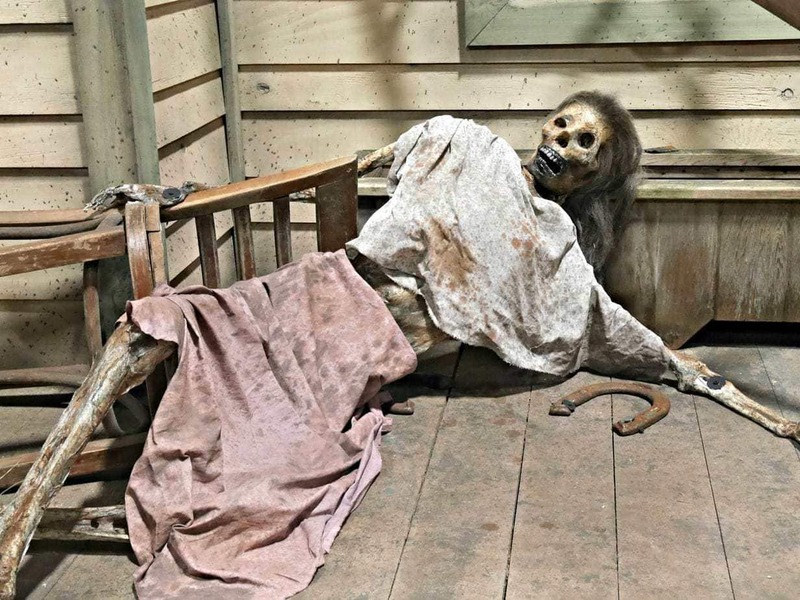 Halloween Horror Nights – Scary and creepy and full of things that go bump in the night, this annual event is an add-on to the regular park tickets. Halloween Horror Night started in 1991 with one haunted house and was called Fright Nights. The following year it was renamed to its current moniker, scaring participants for a whopping three nights. It’s grown (and grown) from there and now features nearly a dozen houses, multiple scare zones, and two show productions over about a month’s time. The makeup and costuming are amazing and surprisingly real looking. I love this event even though I’m not a major horror fan and understand why people make it an annual tradition. This year, there will be Stranger Things house – it should be amazing! 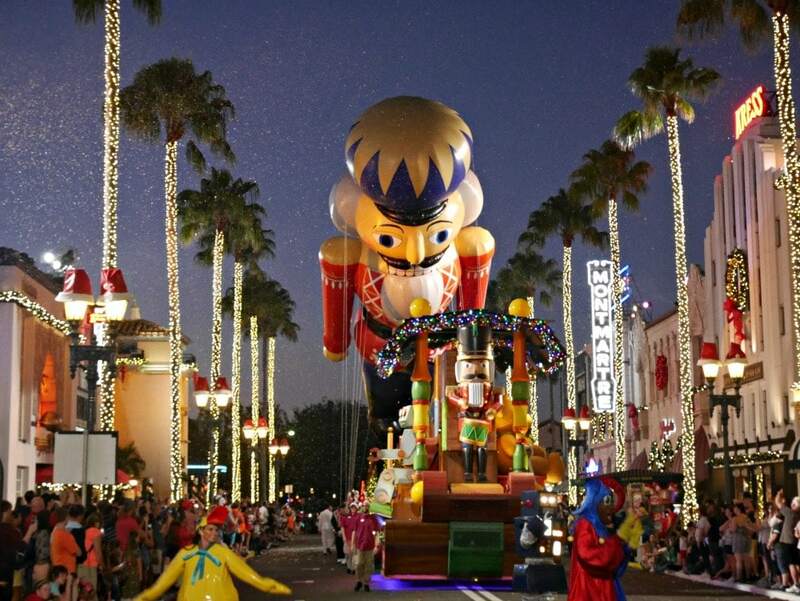 Holiday Season – Universal really goes all out for the holiday season, at all the hotels as well as at the theme parks. Take in the parade with complete with floats and those big balloons soaring overhead, and all the balloon walkers making sure they go where they’re supposed to go. Enjoy seasonal music and performances and slurp up hot butterbeer (my favorite). There’s something new and special each year, so expect to be wowed even if you go back year after year. Events included as part of your regular admission ticket. 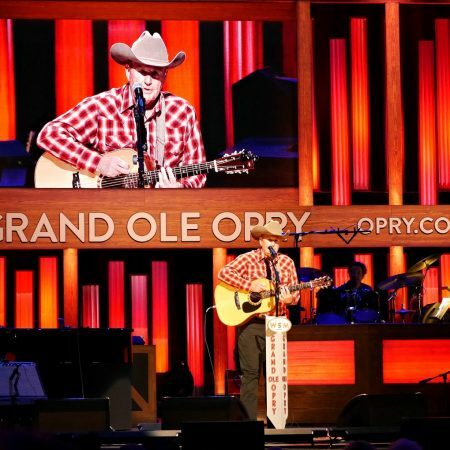 May will feature a getaway to Nashville, Tennessee, and will be themed around discovering a new city (hint: there will be lots of food, drink, and music).